Even though in the app it doesn’t say I have “pro” - and I never signed up for pro - I’ve been being charged $10 a WEEK!!!!!!!!!!!! It’s a cool idea - but they are ripping people off big time. I went into the app & it says $5/mo for pro. How i was getting charged 4x that amount is criminal. Zero stars. Beware!!! This is a complete scam. 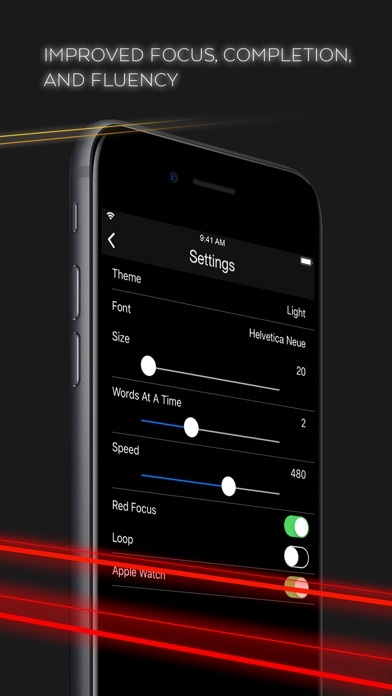 The videos make the app appear very well design but this is false. The app is poorly developed and not worth $10 a month. This is such a scam and should be taken down. What this did for me is let me know how fast I can read. I loaded a Medium article into it and it did what it was designed to do, so that’s good. I could see it useful if I wanted to read my morning articles quickly, but its laughable to value these services at $9.99 a month while providing little to no value. It’s illogical and absurd that the yearly subscription is $34 and monthly is $9.99. $34 a year is $2.80 a month. If you’re paying monthly at $9.99, you’ll have paid $120 by he end of the year! Obviously, whoever made this is in it for a quick cash grab. I doubt it will even still be operable in a year. It lacks features. The design is simple but “too” simple. It just feels scammy and void, it doesn’t appear to be friendly. Developer wants us to pay Spotify money for something they put no work into...Can someone remake this app, but make it reasonable with a good interface and more features? I’d go for that. I’m tired of these false advertisements that get you to download the app before they tell you that you have to pay monthly or that it’s a trial. Once you download this app there’s no way you can use it unless you subscribe to there free trial in which they will later charge you a 9.99 weekly subscription that “unlocks all features”. These apps are a bad rep for us as consumers. Basic functionalities should at least be an option if your going to have the user download the app before they download it and find out they can’t use it. They just want to advertise they have so many downloads by numbers but probably don’t have that many users. I deleted the app as soon as I downloaded. Disregard the strange and off-topic comments regarding this app. 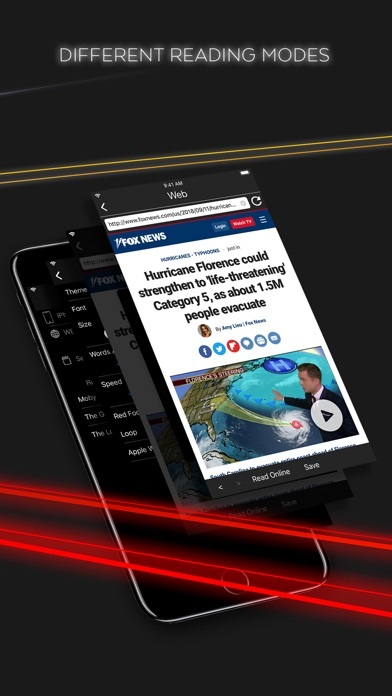 It does exactly what it’s designed and touted to do: let you practice reading at higher and higher speeds until it feels natural. 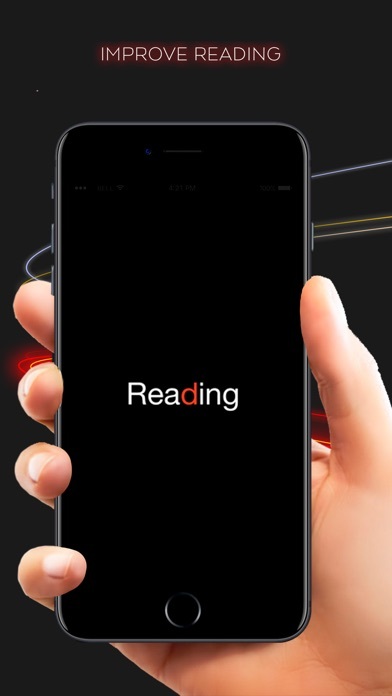 By using this app as a training tool and occasionally reading with it, your reading speed will gradually improve. I went from 360 wpm to 430 in about a week using the app 10-20 minutes a day. You may quickly download books or type in a URL to read articles online, and it will store all of them for you. You can adjust the speed of text delivery from 100 wpm to 1000, and toggle between speed practice and reading the article or book as a normal document. It is NOT FREE, and after a 3 day trial you will be required to either subscribe for 9.99 a month, or 34 annually (no brainer there), though what exactly you are subscribing to other than access to the app I am unsure of. All in all, it’s a great tool to help you read faster, regardless of reading level, and probably worth an annual subscription if you are consistent.